“Unveiled Affinities: Quaderns in Europe” highlights Josep Lluís Mateo’s contribution as editor of the magazine Quaderns d’Arquitectura i Urbanisme (1981-1990) to the transformation of architecture thinking that continues its influence today. 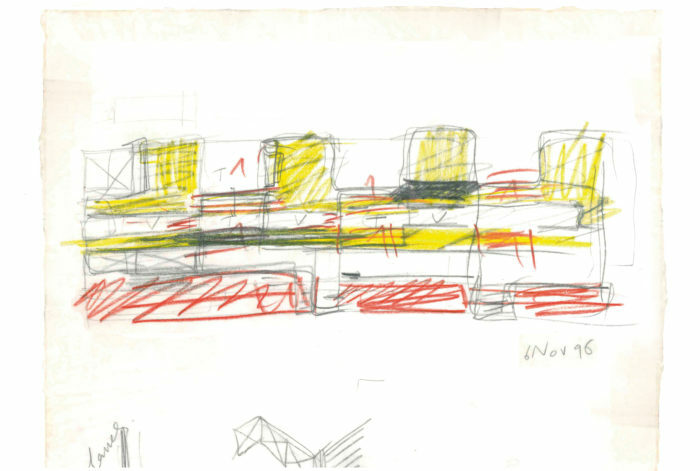 From 1981 to 1990, Josep Lluís Mateo directed Quaderns d’Arquitectura i Urbanisme during a period when the magazine emerged as an international reference, launching a space for debate about architectural design and showcasing architectures and aesthetic sensibilities previously unknown in Europe. This new approach was recognised by the ACCA Award (Associació Catalana de Crítica d’Art, 1981), Laus (1985) and Laus ADG (1981), Ciutat de Barcelona (Plastic Arts, 1984), and the prize awarded by the International Union of Architects (UIA) at the 1990 Biennale in Sofia. 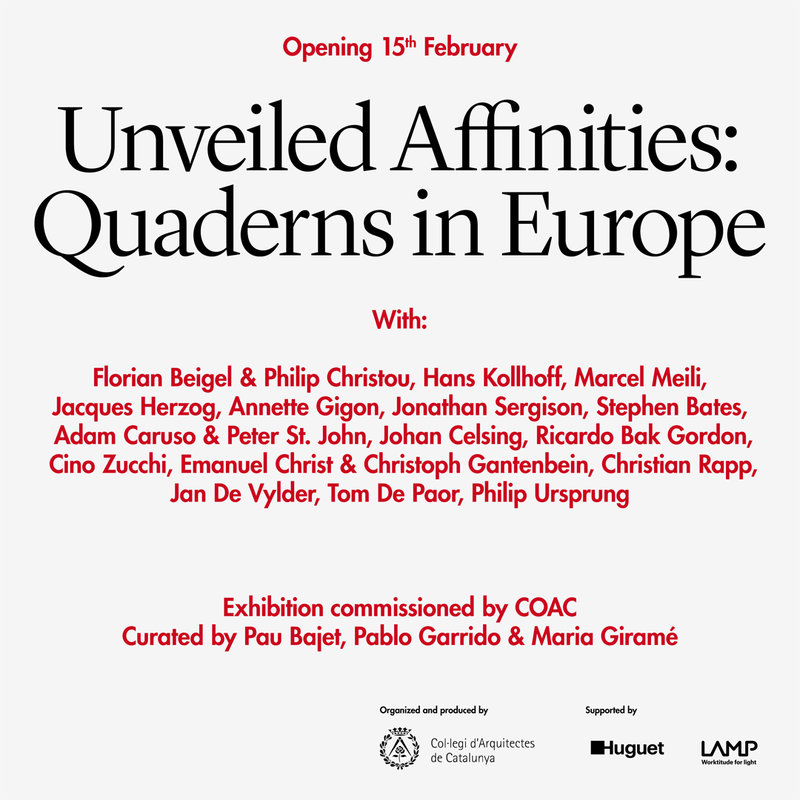 The exhibition “Unveiled Affinities: Quaderns in Europe”, which opens on Friday 15 February, takes a look back at this phase, showing the magazine’s influence during this period on a generation of students all over Europe, now renowned architects. 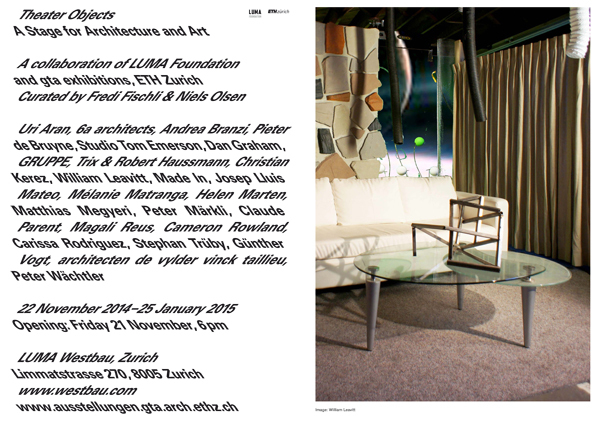 Fifteen architects with acclaimed work in various European countries have been invited to show, in the first person, the relation between the Quaderns directed by Josep Lluís Mateo and their present-day architecture. 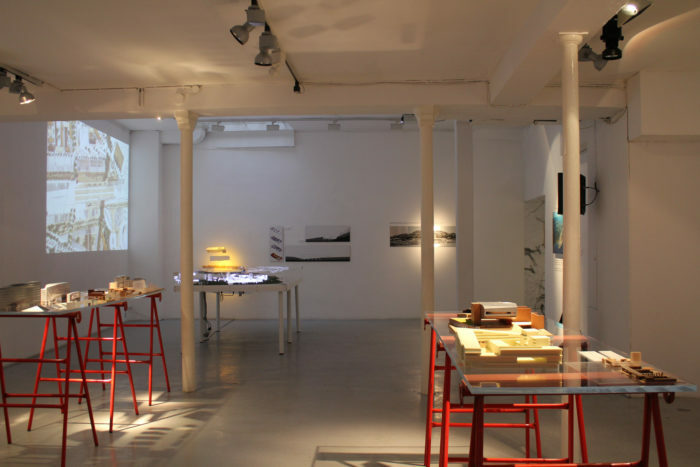 The exhibition, curated by the architects Pau Bajet, Maria Giramé and Pablo Garrido, will run at the Col•legi d’Arquitectes de Catalunya (Architects Association of Catalonia-COAC) until 10 March.